A Recent Article In The Richmond Pulse! Point Richmond is one of the hidden gems of the San Francisco Bay Area. Originally the downtown center of Richmond, Point Richmond has developed into an eclectic neighborhood of young professional families, artists, musicians, happy retired folk, and budding entrepreneurs. Point Richmond is the birthplace of Pixar, and the former stomping grounds of both the Hell’s Angels and Hunter S. Thompson. The three story Hotel Mac was originally built in 1911 and was called the Colonial Hotel. 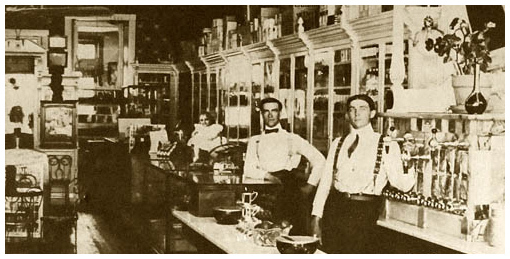 When it first opened, the Hotel served diners and boarders, many of them employed at Standard Oil. In the 1930′s a former manager of the Claremont Hotel, M.V. McAfee purchased the hotel and changed the name to Hotel Mac. 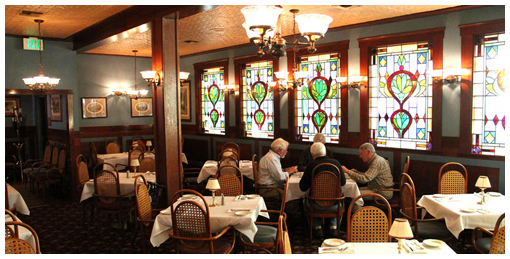 The food in the main dining room was acclaimed by Duncan Hines as one of the exceptional dining establishments in the country. Executive Chef Jaime Molina, Hotel Mac chef in Point Richmond, CA since the 1980′s, prepares fresh fish specials and featured off-menu entrees daily. The Hotel Mac changes its menu frequently, to accommodate seasonal tastes and to respond to your requests. Below is a sample menu of our world famous dishes. Upon your imminent arrival, your server will be happy to point out current specialty items and featured new additions. 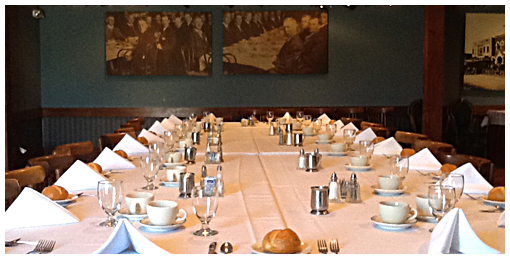 Our banquet room is available for breakfast, lunch and dinner for wedding receptions, rehearsal dinners, business meetings, birthday parties, graduation celebrations, retirement parties, or any other special occasion. Our Banquet staff is pleased to have the opportunity to assist you in planning your event. For more information go to the “Banquets and Catering” tab above.